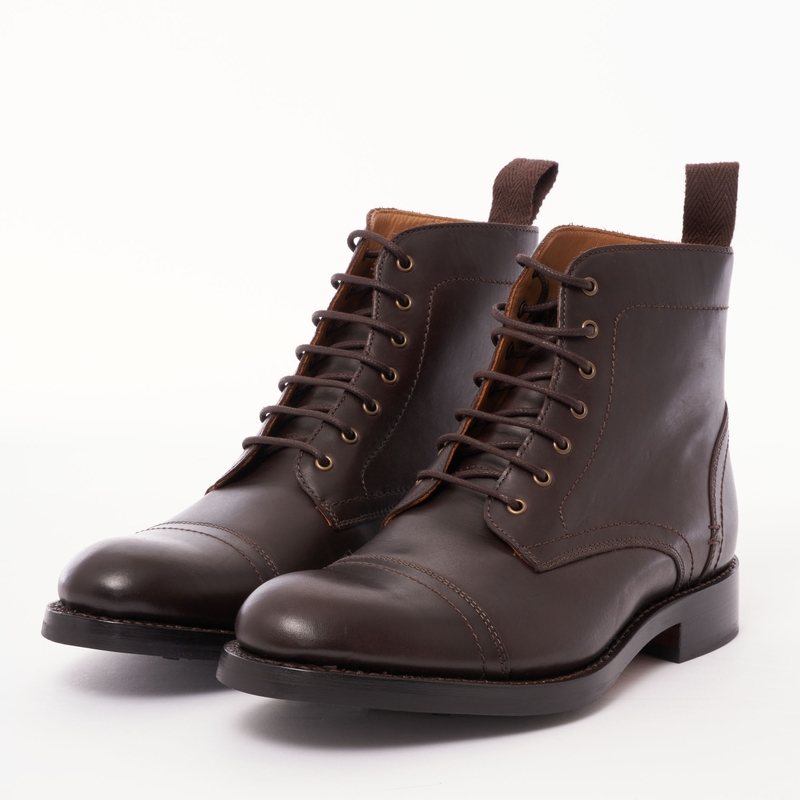 A premium quality Boot to arrive as part of this season's Oliver Sweeney collection the Braun Leather Boot in Dark Brown blends a timeless aesthetic that is well suited to any modern footwear collection. Constructed using smooth leather to the upper Braun features a Bologna construction that sits upon a hard wearing leather sole with a rubber tread for added durability. Goodyear welted featuring a fourteen metal eyelet lacing system and a heel pull tab try combing with turtle neck or roll neck knitwear from the likes of None Of The Above for a timeless yet hardy finish over the coarse of the coming months.